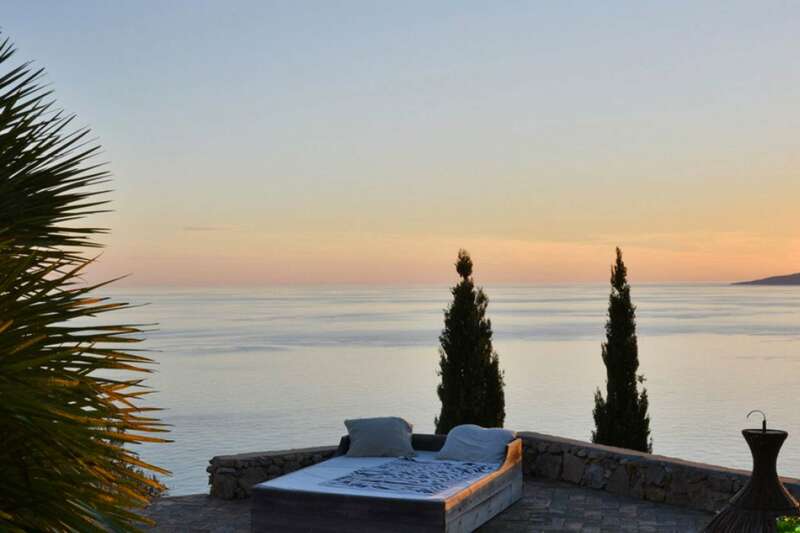 Set in total privacy on the Maremma coastline facing the island of Giglio, this stylish villa enjoys sea views. It has an infinity swimming pool set two terraces below the old farmhouse, and a tennis court further down the hillside, cut into the side of the cliff. There’s also a platform for sun bathing and swimming. The private infinity-edge swimming pool is set two terraces below the house.